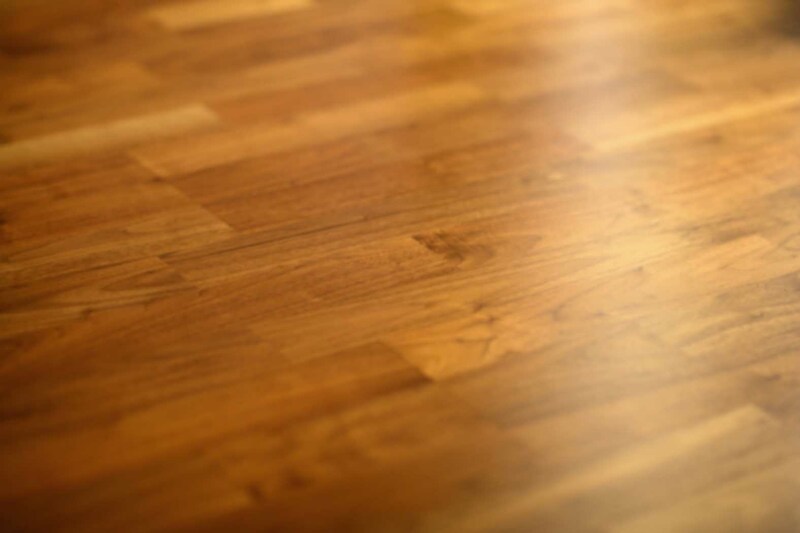 Over time, the shiny finish of your beautiful hardwood floor is slowly removed by the friction of day-to-day living. It’s only natural for the top layer to get thinner and duller, with more scratches and tiny dents. Problems start to arise if you let that protective coat deteriorate for too long. Eventually it will expose the bare wood underneath and the damage caused can only be removed by sanding and refinishing the entire floor. The finish on your floor is very similar to sunscreen for your skin. It’s important to re-apply it before it wears off to prevent damage. If the top coat of your hardwood floor is starting to look dull and a little scratched up, it might be time to add a maintenance layer. This process is also known as “screen and recoat” or “buff and coat”. We recommend this low cost maintenance coat every 3-5 years to remove mild scuffs and rebuild a solid top coat finish. The first step in this process is to buff the hardwoods. In order to get a new coat to adhere to the old one, we must lightly sand or ‘screen’ it. A screen is just a round mesh encrusted with abrasive particles. This special mesh is generally less aggressive than sandpaper because there are fewer abrasive particles per square inch. Under the screen are thick soft pads which further reduce the cutting action. This is important because the buffing process should only mar the surface of the floor enough for a new coat of finish to bond. Screening should remove only a tiny fraction of the existing finish, not all of it. Once the buffing process is complete, we add a top coat of finish. So, every few years, long before the protective coat has grown too thin, you need to maintain your hardwoods with another coat on top. The key word in that sentence is the word “before.” You have to recoat a floor before you see damage. Unfortunately, some homeowners wait too long and are frustrated that a sand and refinish is required. To test your floor to see if it needs a full refinish or just a recoat, take our easy at home test. **IMPORTANT: The only way a recoat is possible is if the floor has never come in contact with oil based soaps or cleaners. See our article on Hardwood Floor Cleaner Reviews for more information on safe cleaners. « Thank you for the beautiful job you did on my floors! I really appreciate it. We are so pleased with our floors. I had no idea they would turn out so nice. Even the hard to reach corners of the bedroom closets look perfect! Hope you don’t mind us referring your business to our friends and family.